The question of whether or not a given individual possess the ability to rationally and factually perform a task or make a decision arises in both criminal and civil contexts. One example of a capacity question applied in a criminal setting is competence to stand trial. United States law holds that individuals have a right to know what they are accused of, to have a defense attorney if they so choose, and to assist their attorney in their defense. 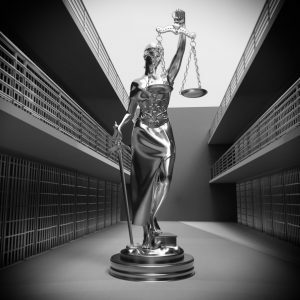 Individuals who lack the ability to rationally and factually understand their charges or the proceedings against them, or who do not possess a reasoned ability to work with their attorney in their own defense may not be fit to stand trial. Often, when individuals lack capacity, it is due to the product of a mental deficit, such as a particular cognitive vulnerability, or symptoms of a serious mental illness, such as psychosis or mood instability. These deficits can in many cases be amenable to treatment and can be overcome with psychiatric intervention. Some criminal competency questions are often raised ex post facto. If you are an attorney representing a client and you have reason to believe that your client did not understand that they were confessing to a crime or that they did not comprehend the nature of waiving his or her Miranda rights, it may be appropriate to consider a mental competency evaluation for your client. There are statutory differences in how competence evaluations are ordered and performed. Some states have a court-ordered process by which initial mental competency evaluations take place. However, attorneys may have the right to request a second evaluation. In the State of Colorado, for example, a defense attorney may request a second competency evaluation after the initial court-ordered evaluation is performed. At Rocky Mountain Forensic Psychiatry, we are available to perform a variety of criminal competency evaluations, including second-opinion evaluations. For more information, please contact us.